Wound care is an area of medical research that doesn’t receive the same attention from investors as other healthcare sectors, such as cancer, neurology (Parkinson’s and Alzheimer’s) or cardiovascular disease research. However, it is one that investors should not ignore. The global wound care market is estimated to be worth over $US25 billion and growing at approximately 7% per annum. With strong drivers of growth, including the rapidly aging population, rising number of surgeries and increasing prevalence of diabetes, demand for wound care solutions are only expected to increase. Several Australian and international healthcare companies are innovating within the wound care industry, although clinical success has been mixed. Companies such as Smith & Nephew, MacroCure, and CoDa Therapeutics have all tried to develop advanced wound care therapies which ultimately failed in the clinical trial process. Other less conventional and less advanced approaches to aid the wound healing process, involving the use of Manuka honey and Kawakawa leaves from New Zealand have also failed to produce any evidence of efficacy. Despite these setbacks, healthcare companies recognize the attractive opportunities presented by the wound care market. There are many niches within the wound care market that currently have unmet needs. Ventral hernia repair and venous leg ulcers are two such markets that would benefit from advanced wound care solutions. Whether it is recent clinical failures or simply a lack of innovation, there is no doubt that parts of the wound care market offer a fertile environment for innovative healthcare companies to exploit. There are tremendous commercial opportunities for healthcare companies who can develop clinically robust wound care therapies that demonstrate meaningful improvement in the time and quality of wound healing. The body has a remarkable ability to heal its own wounds. The wound healing process moves through three broad phases: inflammation, proliferation and maturation. In the early inflammation phase bleeding is controlled and damaged tissue and pathogens like bacteria are eliminated so the wound site is clean and ready for new tissue cells. In the proliferation phase the wound is filled with fibroblasts to enable the wound site to rebuild with healthy new tissue. Granulation tissue forms in the wound bed, supported by an extra cellular matrix and a range of growth factors while new blood vessels also form. Epithelial cells migrate across the wound to form an epithelium cover that eventually forms a scar. In the maturation phase, which can last years, the new tissue is continually remodeled to gain strength, function and flexibility. While the body usually knows how to heal its own wounds, the ability to do so is often impacted by the person’s age, suboptimal blood supply, the presence of diseases such as diabetes and the size of the wound. Wound care is all about helping chronic and acute wounds to heal. Acute wounds are expected to heal normally with time and are typically caused by either trauma or surgery. Depending on the size and severity of the acute wound, assistance to the normal wound healing process may be required to ensure the wound heals correctly and without complication. Chronic wounds do not follow the expected path of wound healing, often getting stuck in the inflammation phase. By definition, chronic wounds are unlikely to heal, or take a very long time to heal. Ulcers (venous, diabetic, pressure) are the most common type of chronic wound, with venous leg ulcers by far the most common type of skin ulcer. Chronic wounds are difficult to treat for carers, – and cause pain, stress and inconvenience for patients and create a significant cost burden for the community and health care system globally. Advanced wound care therapies and devices can be derived from either synthetic or biologic sources. There is ongoing debate among clinicians about the merits of synthetic or biologically derived wound care devices and solutions. It is clear from the debate that both approaches have strengths and weaknesses, depending on their primary application and objectives. It is our view both approaches will co-exist within the overall wound care market, but certain applications are likely to be more suitable to one treatment approach over another and therefore dominate within that application. For example, treating Venous leg ulcers in the community setting lends itself to a simple, low cost, synthetic solution rather than an expensive biologic that requires specialist in-patient care. Conversely, in treating surgical hernia repair there is strong evidence to suggest biologic products produce higher quality tissue repair and minimal infection when compared against competing synthetic devices. Acorn Capital Investment Fund (ASX:ACQ) offers investors exposure to two exciting and innovative advanced wound care technologies: ASX-listed Factor Therapeutics (chronic wounds) and private New Zealand company Aroa Biosurgury (surgical wounds and chronic wounds). Both companies are building strong platforms to leverage their core IP into multiple indications and providing multiple avenues for growth. Factor Therapeutics is developing VF-001, a therapeutic that activates and speeds up wound repair in chronic wounds. A pre-packed syringe filled with liquid VF-001 is squirted onto the wound bed where it sticks to provide “cell attachment sites” and growth factors to stimulate new tissue formation, imitating the normal wound healing process. VF-001 is used in conjunction with standard care compression bandages and is applied in the community setting rather than a specialist center. VF-001’s first indication is in Venous leg ulcers where there is a large unmet need to treat “moderately severe” ulcers. In the future, Factor Therapeutics’ technology will be applied to diabetic foot ulcers as well as ocular applications. 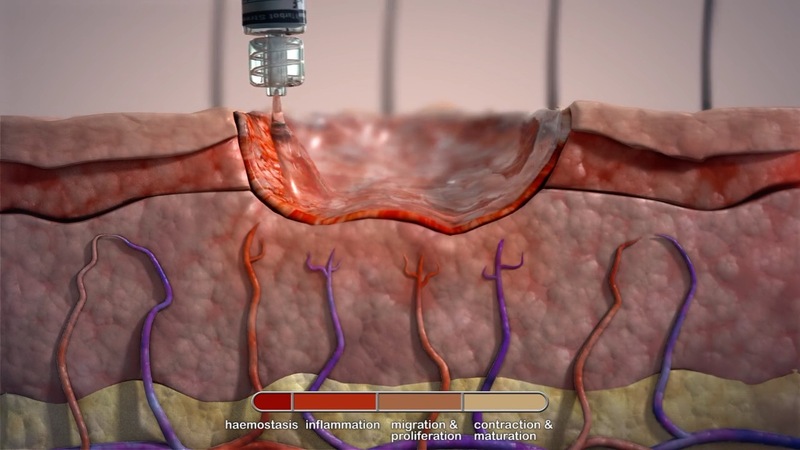 Aroa Biosurgery develops and manufactures high quality, simple to use regenerative tissue substitutes for soft tissue repair via its proprietary Endoform™ platform. Aroa first developed its Endoform Dermal Template (an intact extra celluar matrix) for the wound care market which is exclusively disturbed by Hollister Inc, one of the world’s largest wound care companies. More recently Aroa commercialised its Reinforced Bioscaffolds to provide an innovative solution to surgical ventral hernia repair. 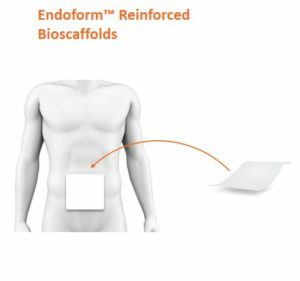 Reinforced Bioscaffolds are exciting as they combine the best of both of biologic and synthetic tissue repair devices without introducing any significant weaknesses. There are many other soft tissue opportunities that Aroa plans to pursue via is Endoform™ platform. Both Factor Therapeutics and Aroa Biosurgery offer investors exposure to exciting early stage advanced wound care technologies. In future articles, we will take a closer look at each of these companies to further understand their technology and future prospects. Find out more about investing in emerging Australian companies through the Acorn Capital Investment Fund. Past performance is not a reliable indicator of future performance. The information in this website is general information only and does not take into account the financial objectives, situation or needs of any particular investor. Before deciding whether to acquire, hold or dispose of a product, an investor should refer to relevant ASX disclosures.Nothing in this website contains a recommendation to buy or dispose of any of the stocks noted. Any examples or information provided in this article are for illustrative and discussion purposes only and do not represent a recommendation or view on future events, and in no way bind the publisher of this website or its related parties.